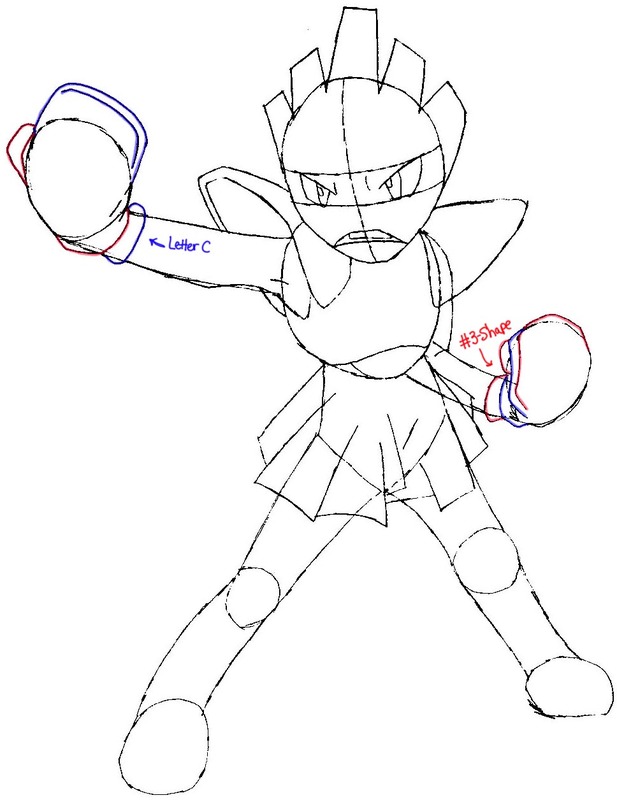 Today I will show you how to draw Hitmonchan from Pokemon with the following easy steps drawing lesson. Hitmonchan evolves from Tyrogue. 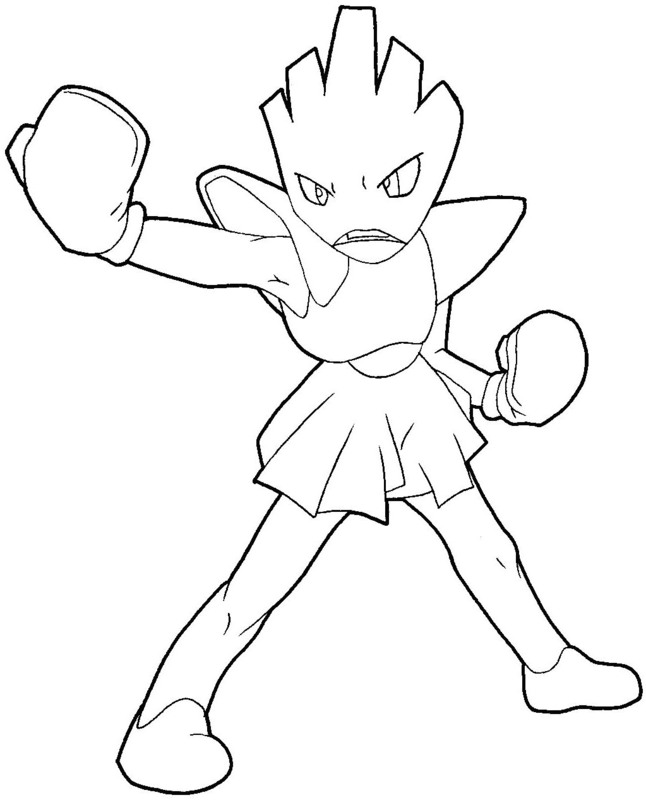 Some of its other forms are Hitmonlee and Hitmontop. 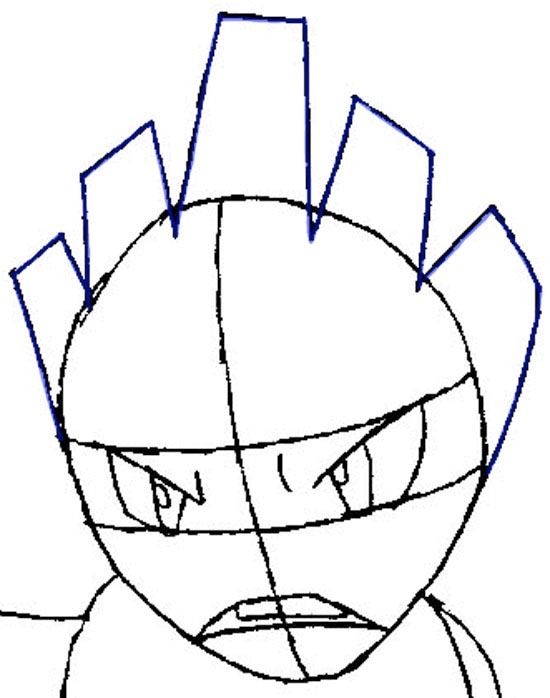 We’ll start with a basic face shape for this. 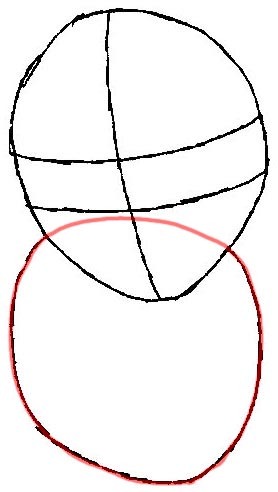 Draw an oval shape. Then draw guidelines thru it as seen above. This will help you place the facial features. Add a small oval, just a bit larger than the head. 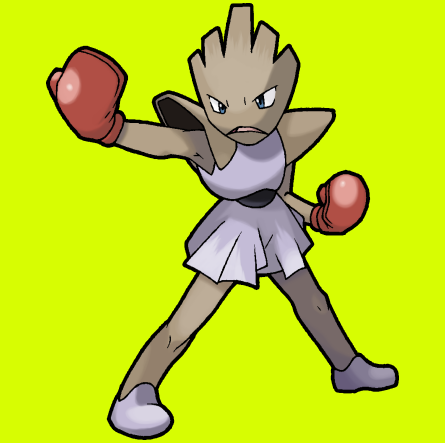 Hitmonchan’s arms are straight and his arms start out as ovals. Use an inverted trapezoid shape for the waist, and then add the legs. 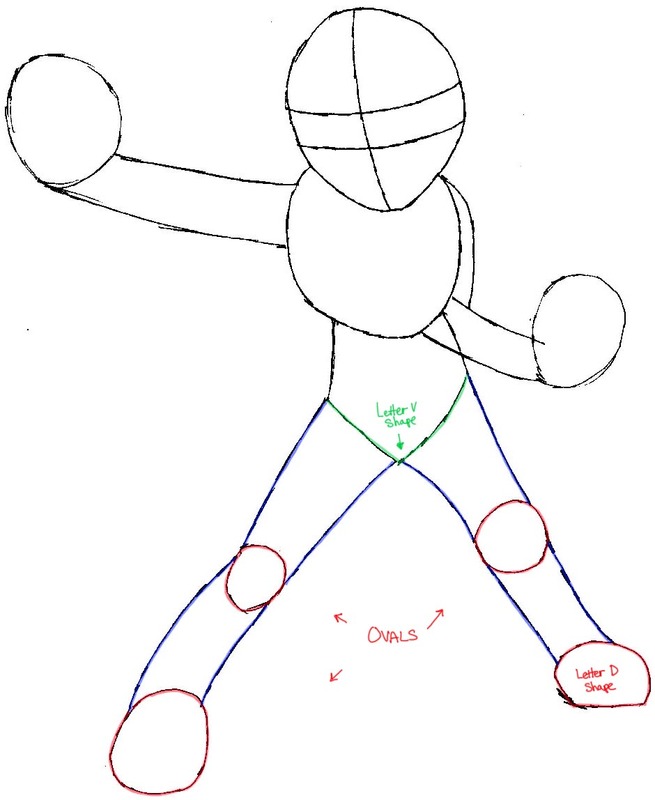 Draw oval-ish shapes for knees and feet and then attach with curved lines for legs. 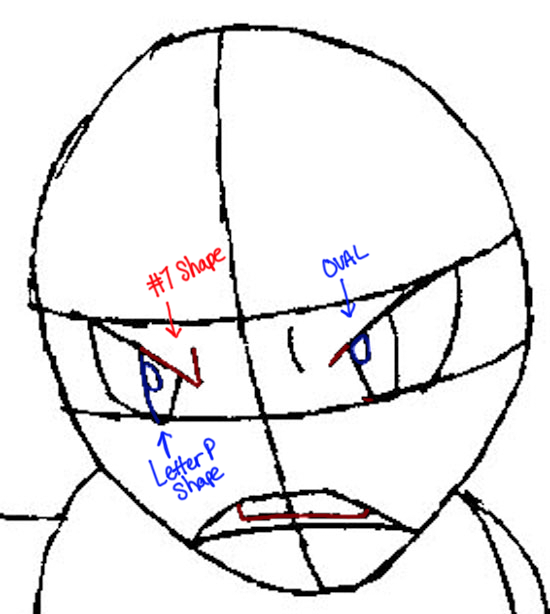 – Draw a sideways #7-like shape on top of the left eye. 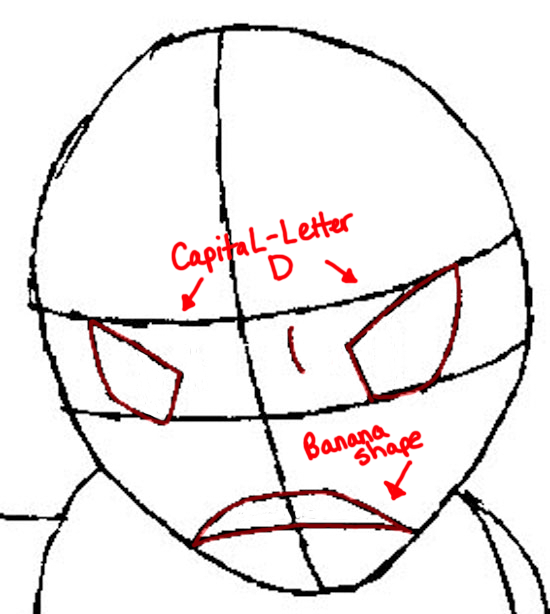 Draw a letter ‘P’-like shape inside the eye. 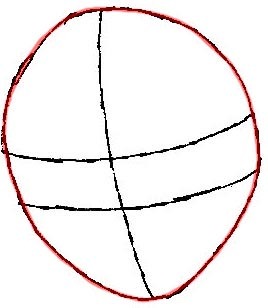 – Draw an oval inside the right eye. – Draw teeth in the mouth. Add his blocky head. Use rectangles for the tips, arranged in a row. 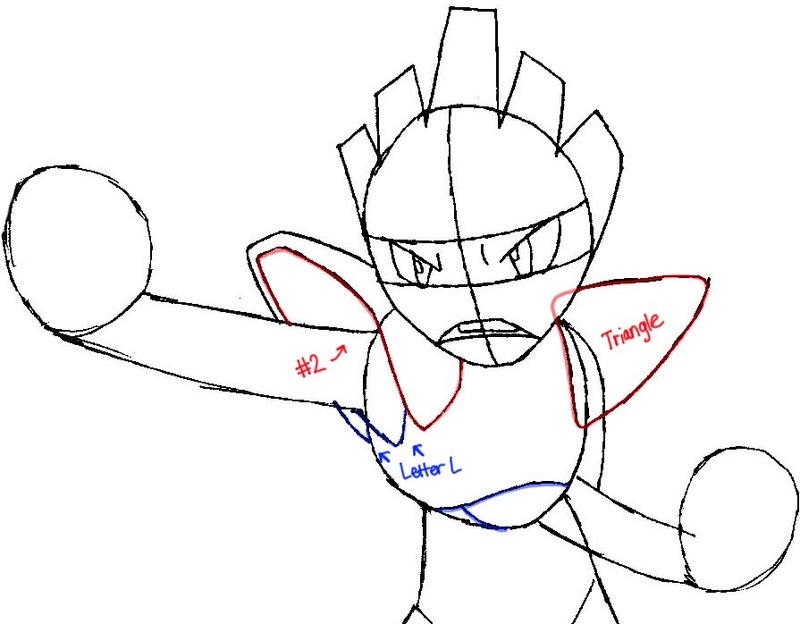 For the shoulders, draw two triangular shoulder pads. Add his armor too. The shoulder pad on the left has a #2-like shape within it. And below it is a letter ‘L’-like shape. 8. Next draw his shorts. Use the same style you did for his head. Notice that the skirt can be made with a bunch of letter ‘L’ shapes. 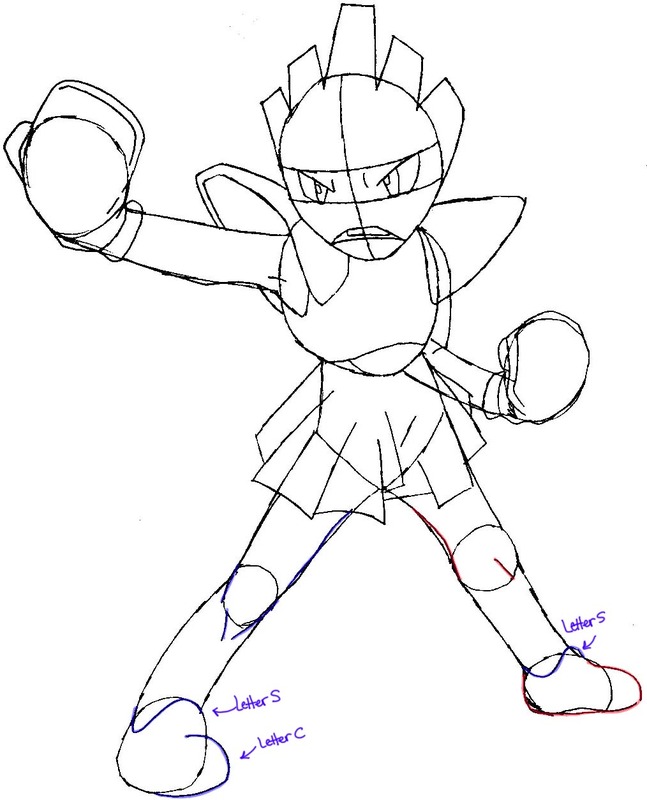 Trace over the feet and add a few rough lines to give it some depth. 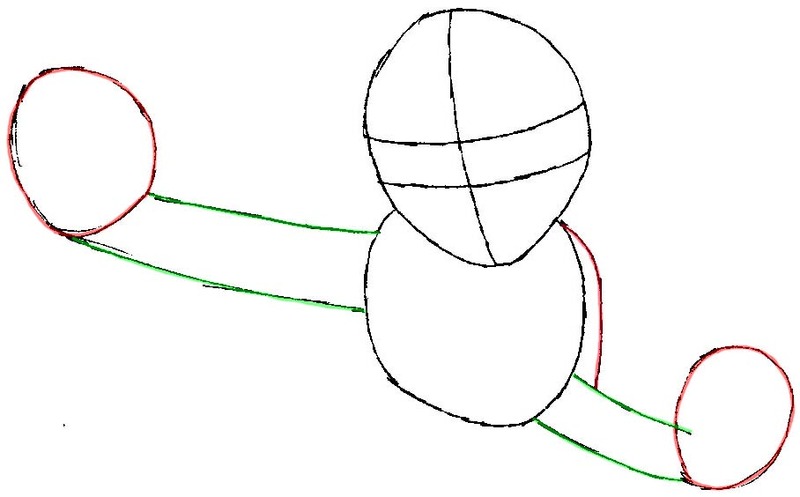 Notice that the left foot can be made with a sideways letter ‘s’ and a backwards letter ‘c’. The right foot has a sideways letter ‘s’ shape as well as the bottom of the shoe which looks like a sideways ?-shape. Finally, use a thick pen and trace over your sketch to give it a clean finish. Erase any guidelines that you don’t need any more. I hope that this tutorial helped you. 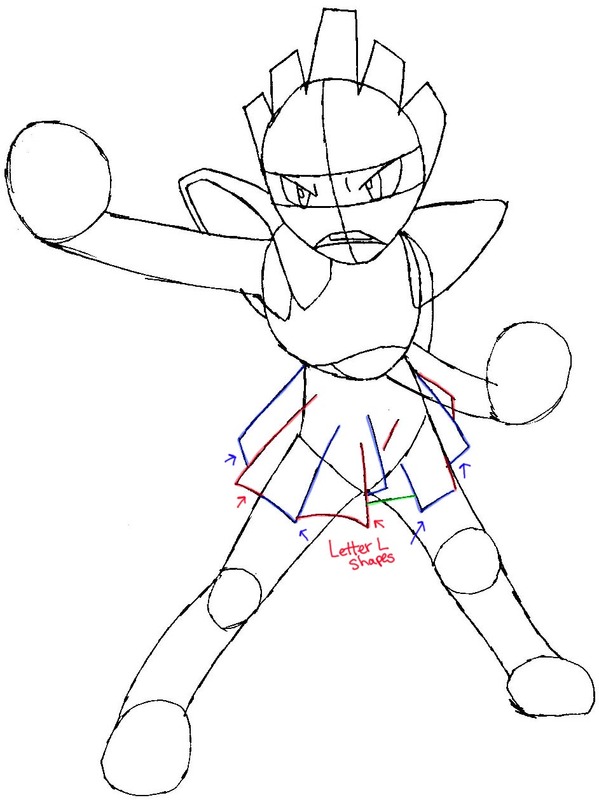 Come back for more Pokemon drawing tutorials as well as many other types of drawing lessons. This article was written on 03 Apr 2014, and is filled under Pokemon.